*With our Money Back Guarantee offer available to UK and ROI residents only. My problem was falling hair and the hair was becoming fine. 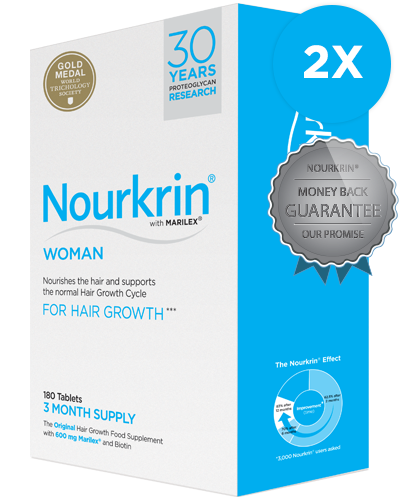 I used Nourkrin® tablets for 6 months and the change I noticed was after 5 months. 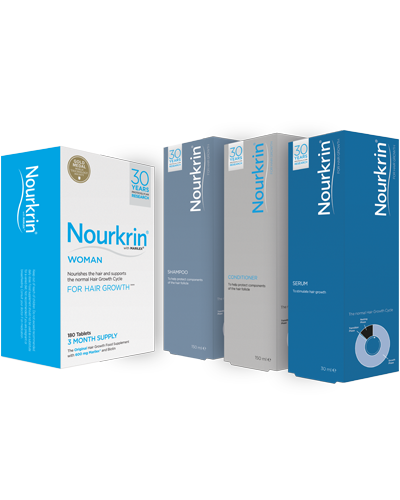 My individual hair has doubled the thickness, although hair loss has not stopped, but has reduced, and I have noticed new hair growth. I am planning to continue using it for a year at least.